A New York court has ruled to the timekeeper in Lower Manhattan's Clock Tower Building should stay mechanical, ending the developer's plan to electrify the clock's winding mechanism. 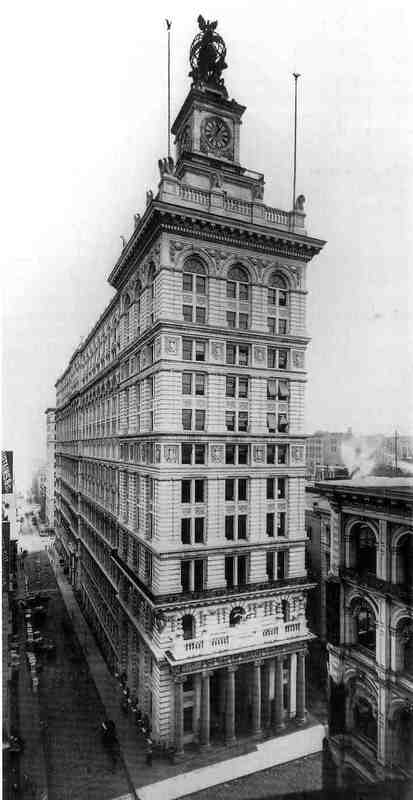 Slated to the converted into luxury apartments, the Clock Tower Building at 346 Broadway in Lower Manhattan is a late 19th century building with a four-faced mechanical clock at its apex that was built by E. Howard & Co., a now defunct American watchmaker. The developer’s plan was to electrify the mechanical winding mechanism of the clock, allowing it to convert the area in the clock towers into a single penthouse. A State Supreme Court judge has just annulled the permission granted to the developer by the city’s Landmarks Preservation Commission, meaning the clock in the Former New York Life Insurance Company Building will stay mechanical. The judge noted that the “internal mechanism” of the clock is a “significant portion of the clock itself”, so no modifications to the movement was permissible. The clock is now wound once a week by New York City’s official clock master Marvin Schneider and his colleagues who raise a half-tonne weight 14 floors that drives the clock movement as it drops. That looks set to continue in this small victory for mechanical timekeeping.